How to achieve the perfect lawn. For over a decade Greenmaster has been a leading provider of lawn care services throughout Central Scotland. We are in constant communication with our growing family of delighted customers and we are always looking for ways to make your experience with Greenmaster Lawn-care better. In almost every case, our new clients come from the personal recommendation of their friends or neighbours and this makes it essential that we deliver the highest quality service at all times. We have a policy of continuous improvement in our business which means you can be confident that your lawn will always receive the most beneficial treatments at all times. Every lawn is different and because of this we don’t have “off the peg” treatment programs like the ones you might have been offered by other lawn-care companies. We prefer to make your lawn the main focus of our attention and this means treating each lawn individually and not lumping you in to the same program as hundreds of other customers. We can do this due to the fact that every Greenmaster lawn-care technician is a fully qualified greenkeeper with a minimum of 10 years experience in fine turf care. This means that we don’t have to stick to a formulaic program to make it easy for under-qualified and/or less experienced staff to deliver. This is good for your lawn as it means you get expert help with your specific problems which in turn makes for a quicker and more economical resolution to any lawn problems you are experiencing. Of course there is nothing new under the sun so a lot of what we do will be familiar to you. We supply and apply professional, organic lawn feed, we take care of weeds and moss and we apply wetting agent during dry spells. Our complete focus is on providing you with a healthy vibrant lawn so occasionally we will recommend other work such as hollow core aeration or scarifying to keep moss under control and to improve drainage and air movement in the soil. This also cuts down on the problems with turf disease in the winter months. Our lawn-care treatment service is completely pay as you go and very economical; and you will always receive a phone call to arrange the work before we go ahead with it. We do this so that we don’t disrupt your enjoyment of your lawn by clashing with your barbecue or when you have visitors. It also makes sure that you only receive treatments when you want them. In spring we usually apply a specialised spring fertiliser that works to green up your lawn even though the soil temperature might still be quite low for growth. This provides much needed nutrition for new root development in spring. This treatment will also include moss control if this has been a problem during the winter months. We might recommend scarifying at approximately 14 days after moss control treatment. Now is the time to apply a complete fertiliser to ensure the newly awakened grass plants have everything they need to develop and grow strongly. Our specialised early summer lawn feed is organic and doesn’t scorch. We usually use this visit to treat any resilient weeds in your lawn, although really pernicious species might need a further treatment later in the summer. One or two summer treatments are carried out depending on conditions and will usually comprise a fertiliser application again using our specialised summer feed which has a controlled nutrient release pattern. Any remaining lawn weeds will be treated at this time also. Summer can also be a time when wetting agent is required to reduce moisture loss if this is a problem in prolonged hot and dry weather. Your Greenmaster technician will also advise on the correct mowing regime and watering cycle to use if you so desire. Autumn is the ideal time to address some of the bigger problems that can beset lawns such as thatch, compaction and flooding. Depending on your lawn’s condition we might recommend further scarification, hollow core aeration or spiking. This is also the ideal time to introduce new seed to thicken up the lawn and improve its species composition for next season. We will now apply our specialised autumn feed which is high in potassium and low in nitrogen. This ensures that the turf hardens up against cold and disease before the onslaught of winter and helps maintain a deep green lawn throughout the autumn months. We will usually offer a high K (potassium) fertiliser top up service in December or January depending on how late your autumn treatment was made and this will ensure that the lawn stays green and healthy throughout the winter. This is a mechanical operation which removes small plugs of soil from the lawn to allow air and water to better penetrate the surface. This also improves the health of the soil by introducing oxygen which is essential for the soil microbial bacteria that break down thatch and provide pant nutrition naturally. Scarification does much the same job as a wire rake, but much more efficiently and effectively. This mechanical operation removes bags full of thatch, dead and dying roots and shoots and generally gives the lawn a boost of air at the turf surface. 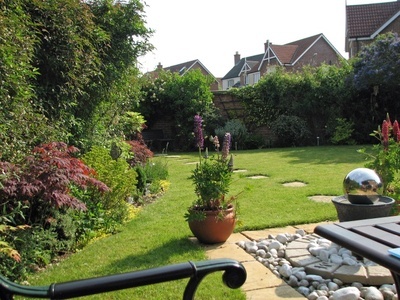 The best way to find out what we can do for your lawn is to phone us on 0800 027 6561. Our friendly staff are waiting to help you. All of our lawn appraisals are free and completely without obligation and our pay as you go service means you are never locked into any long term contracts. Greenmaster is a lawn care provider with a difference. We have developed our service from our knowledge of fine turf gained through our work in the golf and sports turf management business. We are not a lawn treatment service, as we do not believe that one pre-set program is ever going to be the best for everyone’s lawn at all times. We do not have a set list of services or a set program of visits, as we truly base our recommendations on what is best for your lawn. We base our business on the building of long term customer relationships both in our commercial work and in domestic lawn care. Our lawn care maintenance services range from a single treatment to a full maintenance program throughout the year. We provide you with a weed and moss free lawn that looks good and performs well under the stress put on it by the weather, foot traffic, pets and children. We use only the highest quality materials and professional machinery to undertake our work and we always do our work with the minimum of fuss and inconvenience to you. We use safe, organic fertilisers which are kind to your lawn, children, pets and the environment generally. We can typically undertake all of our work for lower costs than you could do it yourself. We currently provide our lawn care service throughout Central Scotland.